I guess one of the nice things about watching a movie with someone is that you can talk about it as it’s occurring and sharing thoughts and opinions. I was worried my mom wouldn’t like this movie at first (she can classify these films as “weird”) but nonetheless she wanted to see it and was really into it. Talking helped quite a bit throughout the eradication process :). On the topic of the removal of Clementine from Joel’s memory, I thought that was all thought out and shot so well. My favorite being the way they portrayed the paths of the memory: unadorned, grey hallways with just enough light to lead Joel and Clementine to his next memory. It’s so fitting with the idea of memory and even more so with Joel because of his personality. The shooting of this movie, the use of close-ups and the hand-held camera feel, was perfect for achieving the idea of reality and human emotion. Jim Carrey definitely benefitted from this whereas otherwise I don’t think his performance would have been as powerful or moving. The story is completely unique and touching. The idea of clearing a person from your memory sounded perfect to me, that is until I saw Joel’s idea. 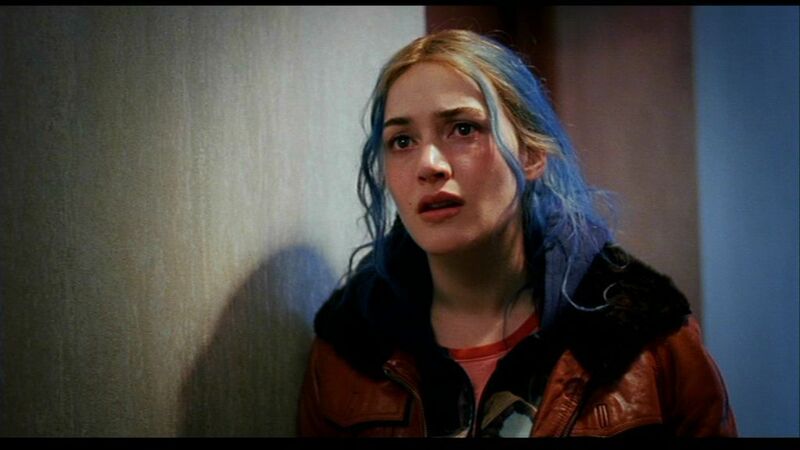 It’s more of a whim, as Clementine says that’s what it was for her, and that the full realization doesn’t come until after it’s completely gone. There are the goods and bads of a relationship and sometimes the bads overpower the goods to the point that we want nothing to do with it. Clearly there were real reasons that Clementine wanted to forget Joel; loosing your identity and being changed by someone is very unsettling. But as the movie points out, there are and will always be problems and it takes work. What I loved was that through this horrid thing, Clementine finally gets to see who Joel is and learn about his early life. Joel is able to appreciate the things that he didn’t before. He sees just what sentimental value they held and the quirks of Clementine’s personality that he loves . And to see them crumble and disappear. Memories are the one thing that no one can take from us; that is expect for the dancing naked and stoned Stan (Mark Ruffalo) and Mary (Kristen Dunst). Kate Winslet when Joel and Clementine listen to the tapes. I’m still not sure what to think about the ending. After seeing the potential of a brand new relationship, it about killed me when Clementine got Mary’s letter. But then again, it was bound to happen. If you look closely, their two meetings are fairly similar expect for the pieces of Joel’s now destroyed memories. At some point they were going to realize their problems and difficulties. But they’re still a clean slate, and aware of the past, and perhaps they can do things to better amend it.